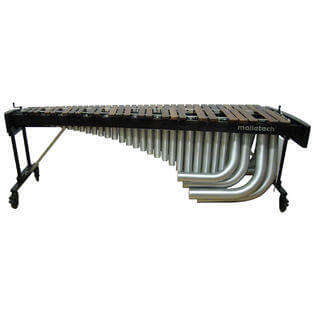 The Malletech MJBA5.0 Marimba features a game-changing marimba design. 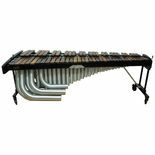 The oversized, super smooth technology (SST) resonator tubes are tunable, and sound as good as they look. The resonator configuration features 25 oversized, tunable (low-end) and 36 fixed tuning round, aluminum resonators, that break down into 6 pieces to allow for one-person setup. The frame features a super rigid, twin threaded screw height adjustment system and lighter weight endboards.